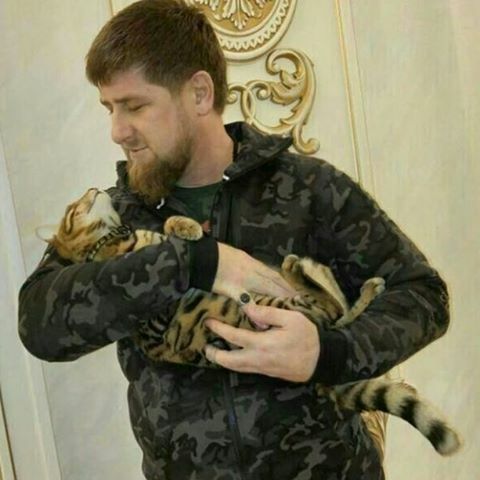 Chechen leader Ramzan Kadyrov has appealed to his Instagram followers to help him find his missing cat. The cat, which he says resembles a miniature tiger cub, went missing ten days previous to Mr Kadyrov's post. “We have completely lost our cat. He looked like a little tiger cub. Visitors have always said that he is very, very similar to a tiger cub. Ten days ago, he disappeared. We all thought that he would reappear, since he is very attached to the children and loves to play with them and go out with them in the yard. But now we have begun to seriously worry. Perhaps he is with someone nearby. That person may not know how to find the owners. I am sure that no one needs someone else's cat. Therefore, we would be grateful for any information. Thanks in advance.” read his post on Instagram, as well as popular Russian social network VKontakte. Although the Instagram post got over 30,000 likes and hundreds of comments, no lead has yet been found regarding the cat’s whereabouts.